There are hundreds of thousands of miles of pipelines criss-crossing North America, carrying products like oil, gas, water, and refined petroleum from their sources to their delivery points. In the USA alone, the natural gas and petroleum pipelines result in some 1,400,000 miles of pipe. Pipelines traverse land and sea, experiencing offshore environments, underground environments, undersea environments, and factory environments at the operation base. Each of these environments poses its own problems, and industrial pipe coating needs to work effectively based on a combination of environment, substrate, and the transport material. A pipeline failure can be disastrous, causing the loss of life, environmental damage, and enormous costs in loss, control, and repair. In this article we outline how pipe coating works, and how to choose a pipeline coating based on specific needs. We also look at the pipe coating companies providing industrial products and services. Pipe coating is a term that covers internal pipeline coating and pipe external coating solutions. Corrosion is one of the leading causes of failures in pipelines, costing the world economy billions of pounds a year in prevention and repair. Corrosion for pipelines is an external and internal risk. Externally coatings need to be waterproof as well as resistant to chemicals, salt, and corrosive soils. Internally the coatings need to be able to withstand the corrosive and damaging action of the substance being transported. Fluid viscosities, friction, and turbulence all affect the flow of products through a pipeline. Flow efficiency is important for keeping pipelines clean and preventing buildup, which in turns reduces the number of shutdowns for clean up. This also means that the pumping facilities are not forced to work at a higher capacity thereby reducing energy use. The products that are transported through pipelines are not all refined. Many of the fluids contain particulates which, at high speed and pressure, become highly corrosive projectiles which cause wear and abrasion to the pipe. This resistance is also important externally, where the pipe is exposed to harsh climatic conditions. Heat resistance and thermal cycling resistance are important properties when dealing with pipelines. Pipelines run from through desert heat and arctic winter, as well as through soils where permafrost keeps temperatures continuously below freezing. Corrosion under insulation is also an issue. Heat transfer rate and thermal stress need to be kept to a minimum, and the temperature and viscosity of the fluids needs to be maintained. With the range of environments and elements that industrial pipeline painting needs to withstand, it is no surprise that there are a wide variety of coatings to meet these needs. The choice of coating depends upon factors such as environment, substrate, use, transportation, and cost. The main coating systems, or the most commonly applied, can be divided into five groups: asphalt enamel, fusion bonded epoxy, polyurethane, three-layer polyethylene, and three-layer polypropylene. A coating based on bitumen which is used for corrosion protection of steel pipes in the oil and gas industry. They have excellent adhesion to steel, are water resistant, have high electrical resistance, and are resistant to acid and alkali soils as well as bacteria and marine organisms. The three layers of this coating system are an epoxy (FBE) primer, an adhesive middle layer, and a high density polyethylene outer layer. 3LPE has excellent chemical resistance, electrical resistance, temperature resistance, resistance to mechanical stress, corrosion resistance, anti-aging properties, flexibility, and good environment protection (no heavy metals). With that list of properties it is clear to see why 3LPE dominates the global market. 3LPP coatings consist of a layer of fusion bonded epoxy, a middle layer of copolymer adhesive, and an outer layer of polypropylene. They have excellent adhesion, are resistant to corrosion, high temperatures, mechanical stress, and chemicals. Particularly suited to offshore projects due to its mechanical strength and ability to withstand high abrasion environments. The high mechanical resistance, chemical resistance, flexibility, ability to withstand harsh weather, UV radiation, and high temperatures, and corrosion resistance of polyurethane works very well for pipeline coating. Underwater environments are particularly suited to PUR coatings. They are also a top choice for repairs. Fusion bonded epoxy coating (FBE coating) is an epoxy-based thermoset powder coating. This coating is applied as a dry powder and baked, and can be used for external or internal coating of pipes. It has excellent chemical resistance, abrasion and impact resistance, and high adhesion, making it corrosion resistant. Suitable for underwater and soil conditions from -40 to 176°F. 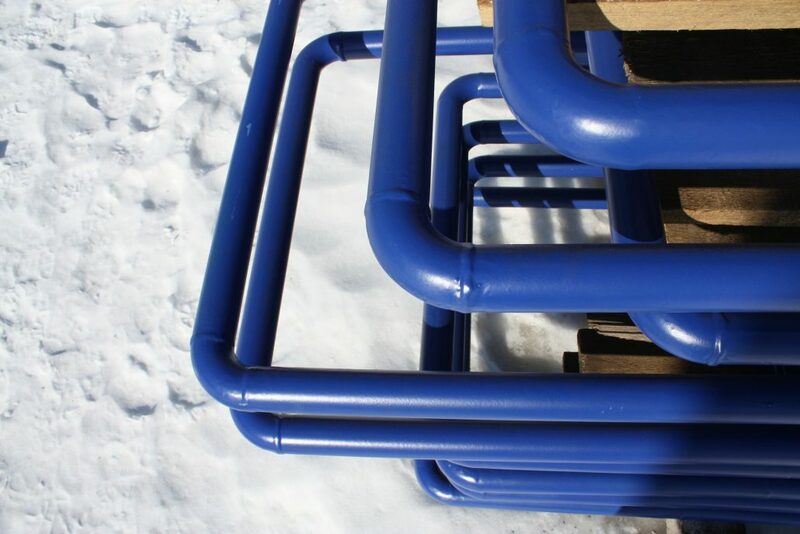 Fusion bonded epoxy coating is one of the most popular coatings for new pipes and can be used as a base coat for other coating systems or as a standalone. There are many reasons a coating may fail, including incorrect surface preparation or application techniques, poor coating choice for the intended use and environment, and soil stress. When this happens the coating can lose adhesion, allowing the ingress of water between coating and pipe which in turn causes corrosion. Pipeline corrosion is an electrochemical reaction between the metal of the pipe and its environment which leads to the deterioration of the metal. The best way to protect a pipeline from corrosion caused by a coating failure is to use a supplementary cathodic protection system together with a pipe coating. Cathodic protection (CP) systems work by converting the metal surface of the pipe into the cathode of an electrochemical cell. This is done in one of two ways: either by imparting a current to the pipe as in impressed current CP, or through providing a sacrificial anode. Cathodic protection works as a pipeline internal pipeline coating and a pipeline external coating. The combination of a coating and cathodic protection system needs to be chosen carefully because some coatings do not allow cathodic protection to function effectively. Coatings that do not disrupt cathodic protection are known as “fail safe” coatings. They allow the electric current to pass through to the substrate, rather than shielding and blocking it. This means that if the coating does disbond, or water seeps between the coating and the substrate, the cathodic protection will work to prevent corrosion at the failure site. Check which coatings are fail-safe in the table below. All the five types of pipeline coatings have many things in common, yet they also have several individual properties which makes them a coating of choice for specific environments. In the table below you will discover which coating has the set of properties your project requires from a pipe coating. Industrial pipe coating can be plant- or field-applied and each environment presents its own difficulties and benefits. A plant-applied coating is the most economical and has the highest level of quality control and quality due to the controlled environment. A field-applied coating needs to deal with exposure to wind, cold, dust, and bugs, but has the benefit of reducing handling damage. 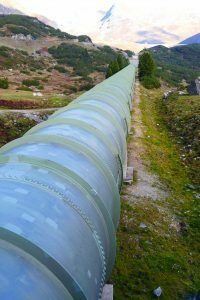 Pipeline repair and rehabilitation is a key driver for field-applied coating. In the field, two-component liquid epoxies are common, as FBE coating requires preparation of the substrate that needs a factory. With the hundreds of thousands of miles of pipeline across the USA, it is no surprise that there are many pipe coating companies operating across the country, providing service for pipeline coating needs. The importance of choosing the right coating for environment, use, and substrate, and having the application overseen by professionals cannot be overstated. If you would like more information about pipeline coating, or have a project that requires coating, get in touch! Our experts are here to help. The process is simple: Use our “Request a Quote” or contact forms to tell us the relevant details of your project, and we will collaborate with our coating partners to find the best coating solution for your needs.